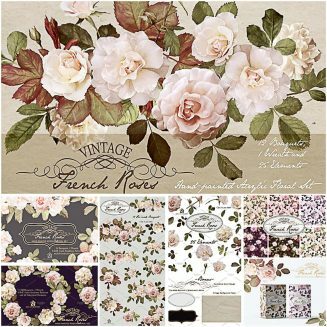 The “Vintage French Roses” is a vintage inspired floral set that consist of highly detailed roses and leaves painted in Acrylic. This set comes with 12 floral arrangements, 25 individual elements, 6 different color seamless floral patterns along with 4 bonus elements. 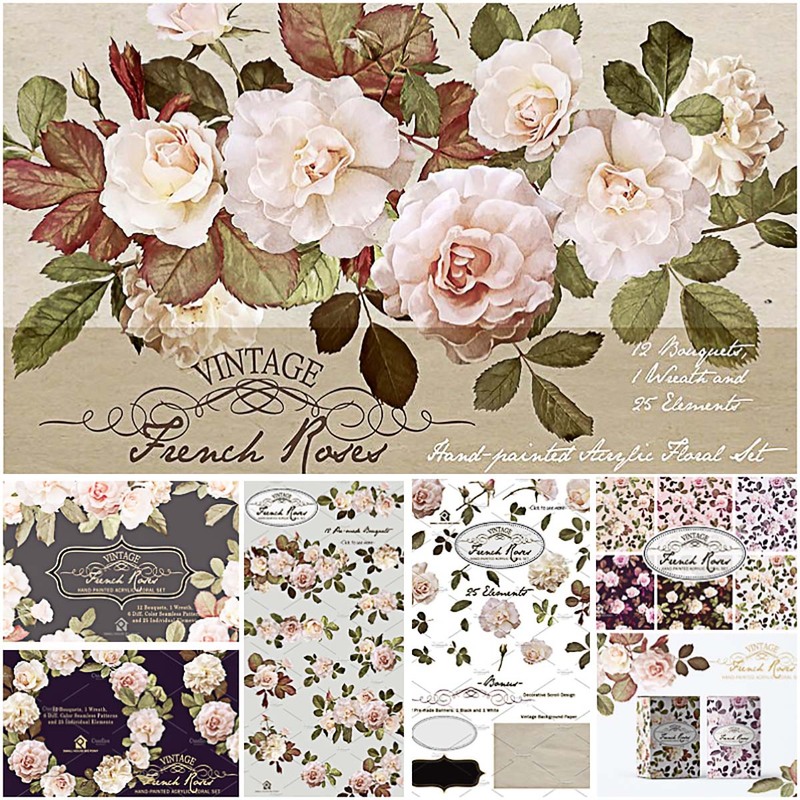 Tags: acrylic, clipart, decoration, flower, french, handpainted, leaves, peonies, rose, watercolor.